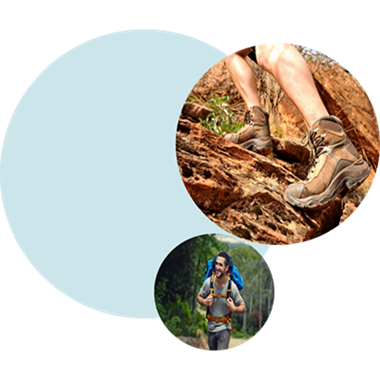 Hard skin is no light issue, especially when it comes to your feet’s health and beauty. The sight of hard skin on the heels might make you want to hide them and can cause a little difficulty when wearing heels! Fortunately, there are simple ways to remove hard skin, resulting in beautiful feet you'll be happy to show off. One of the most effective ways to remove rough skin is by filing it down. The Amopé Pedi Perfect™ Electronic Foot File with Diamond Crystals is an effective hard skin remover that helps keep your feet feeling silky soft and looking beautiful. 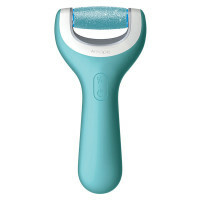 The device spins the specially-designed roller at high speed to gently buff away hard skin. Its ergonomically-shaped soft touch handle means that it’s easy to hold, and the device is effortless in its application. Manual filing has always been conventional way to keep dry skin at bay, however, this is history if you own the Amopé Pedi Perfect™ Electronic Foot File with Diamond Crystals! Even if you’re hard-pressed for time, the Amopé Pedi Perfect™ Electronic Foot File with Diamond Crystals can give you beautiful feet in no time! The Amopé Pedi Perfect™ Electronic Foot File with Diamond Crystals provides a safe treatment. The roller head is gentle enough to remove hard skin without damaging the healthy tissue beneath. Other treatments involving sharper tools may be a little trickier to handle, and with the Pedi Perfect™ we’ve kept that in mind. And if you do apply a little too much pressure on your feet the device will stop automatically.